Are you sick and tired of being “sick and tired”? I’ll bet you’ve heard many of those sayings before. Lots more where those came from. But let me ask you a question: did they help you achieve better health, more energy, and less sick time? Frankly, the conventional “wisdom” didn’t help me either. I ended up 80 pounds overweight, lethargic, diseased, and sick all the time. Does it seem like there should be a better, easier way, to stay healthy? That picture was taken about 12 years ago, after the last 3 week bout of sickness. It was time for a change. 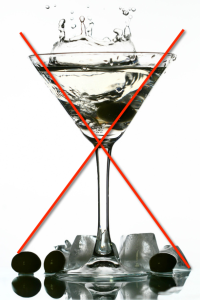 Traditional diets, fad diets, health platitudes, and “supplement d’jour” were not helping. In fact, they seemed to be making me sick. There just had to be a better way. Fortunately, there was a better way. A MUCH better way. But finding the “better way” wasn’t easy. 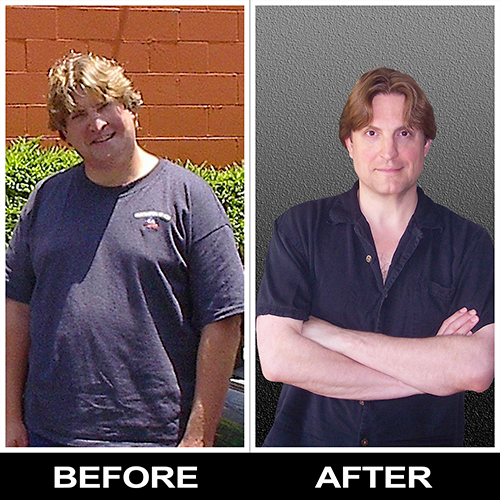 It took years of trial and error, constant study, interviews and years of nutritional school. it’s what you ADD, not what you REMOVE which makes all the difference. Every diet book I read (and I read over 16 at the time), talked about portions, restrictions, and what not to do. Plus, they all touted lower calories, healthier food, and lots of exercise. Don’t get me wrong. Exercise, healthy foods are great things — important for healthy long lives. But for many of us, a lasting health journey doesn’t start there. Psychologically, we don’t want to be told what NOT to do. Or, what we “must” give up. Most of us would rather be given something to try or “add” to our lives. I call it “health by addition, not subtraction”. People don’t like to be too restrictive, or make dramatic changes overnight. Don’t get me wrong. Some people can and do very well with restrictions. And if you’re one of them, more power to you. But for the rest of us, another approach is in order. Add a healthy step, make it a habit, and repeat with a new step. Monthly doctor visits went from 3 – 5 times per month to ZERO! I haven’t seen a doctor in almost 13 years. Weight loss of 80 pounds, which has stayed off almost 4 years. …I used to manage a health food store years ago so I have some knowledge about health and nutrition. However, we sometimes don’t always stick to things we know are best for us, so I wanted to thank you for reminding me about the importance of these things in your podcasts. Yes, you can have your health and enjoy it too. And all for less than the price of a designer cocktail or coffee drink. P.S. 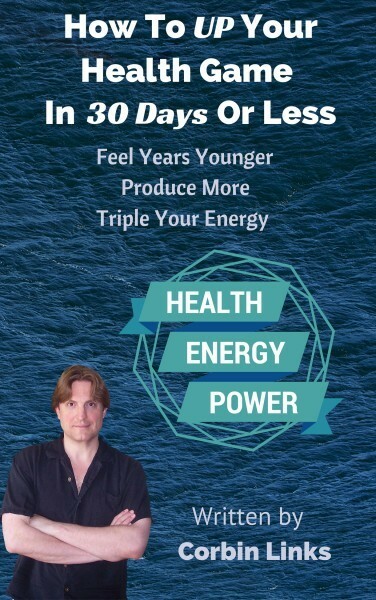 Even at $7.00USD, “How To Up Your Health Game In 30 Days Or Less” is fully guaranteed. 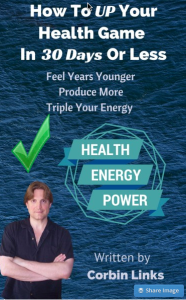 Simply follow all steps in the book, just as they’re written, for 30 days. If you don’t see big improvements after 30 days, just email the address on your receipt and we’ll refund your money.